Kanye West Says Kim Has Taught Him "How To Shut Up More"
The rapper also confirmed that he and Kim are trying for more kids. Kanye West has opened up about how marriage and becoming a dad has changed him. 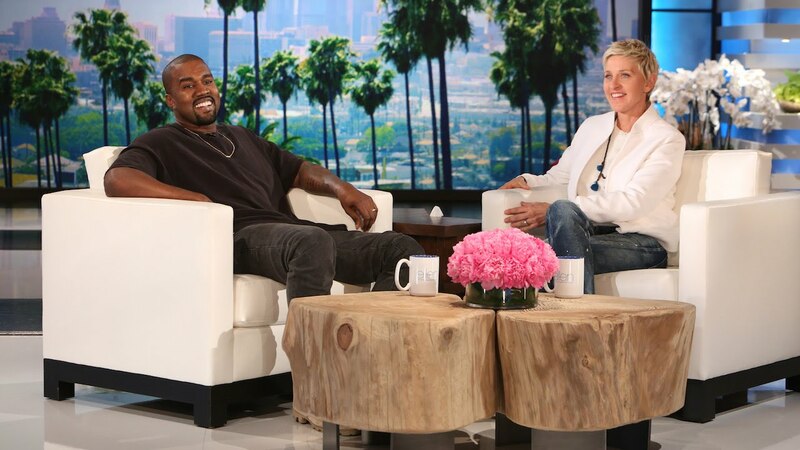 The 'Bound 2' rapper appeared as a guest on The Ellen DeGeneres Show where he commented on what he's learnt since marrying Kim Kardashian. "I've learned how to shut up more. I think i'm a better human being because of her [Kim] and because of my daughter," 'Ye said, adding that he has people to think about before himself now. When Ellen mentioned that he seems like a less angrier version of himself since he's been married, Kanye jokes that he "was going through [his] version of [his] terrible twos," a phase that 18-month-old North is gearing up for. Although Kanye didn't confirm what the name of his next album will be as he hasn't decided yet, he did confirm one rumour - that he and Kim are trying for another baby. "Yeah, we're trying" he said. But when he was asked how many children he wants, Kanye gave the diplomatic answer; "Whatever Kim Wants!" Whilst on the show Ellen paid tribute to the man she called a "visionary" with a special rap dedicated to Yeezy himself. Check it out above.